Considered to be one of the most aggressive fighters ever to compete in Brazilian Vale Tudo, Ebenezer Fontes Braga has fought some of the biggest names in the sport, including “Rei Zulu,” Dan Severn, Kazushi Sakuraba, Forrest Griffin and Kevin Randleman. “Pitbull” retired in 2004 after a knockout loss to current UFC heavyweight No. 1 contender Fabricio Werdum at Jungle Fight 2. Since then, Braga has dedicated his time to his business -- an ice factory -- and his faith. Now, however, the muay Thai black belt is making another transition. “My business grew a lot, and last year I was named shepherd in my church, so I decided it was time to change,” Braga recently told Sherdog.com. "My two sons are living in Boston, and I want to live close to them, so I sold my factory, and now I´m going to live there -- a new adventure in my life." With his move to the U.S., Braga also has designs on a return to the combat sports realm. Braga made it clear, however, that he will not struggle to adjust to life in a new country. "Actually, I´m going in to a pretty comfortable situation. I just want a new challenge in my life,” said Braga, who is 13-7-2 as a mixed martial artist. “Also my father has dual nationality and lives there too." Braga is impressed by the evolution of MMA since his retirement, but he believes there are still some aspects of the sport that have room for improvement. 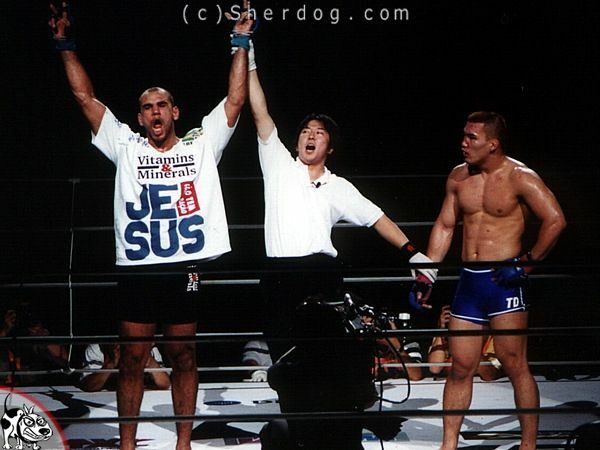 “During 16 years I fought without time, weight classes, rules and sometimes doing three fights in the same night. Today they have weight classes, rules, contracts and even authorization to use TRT,” joked the Brazilian. Braga is planning to move to Boston sometime before September. First, he will undergo a long overdue surgery on his broken nose. “I’ve been postponing this surgery for years,” he said.